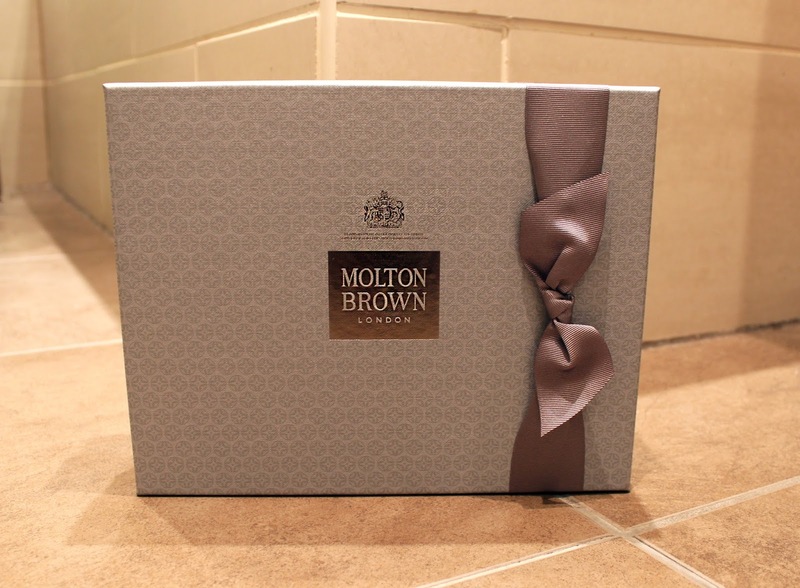 I moved house this month and amongst the stress of buying furniture, choosing lighting and finding a new dog walker, Molton Brown were kind enough to send me over the Bathing Indulgences Gift Set For Her. This is a huge deal for me as for the first time in lord knows how long, I HAVE A BATH in my flat. This means I can finally come home after work, turn on the tap and soak my troubles away -and what could be better than doing all of that with the gorgeous smell of Blossoming Honey Suckle & White Tea, or Dewy Lily of the Valley & Star Anise?! I've been a fan of Molton Brown forever, ever since my older brother & sister in-law bought their house and stocked it with Molton Brown handwash and hand lotion. Before we even moved our stuff into the new place I said to my boyfriend "I want to be one of those people that when you walk into their bathroom it's Molton Brown EVERYWHERE".... And look at me, I'm halfway there! I'm a serial last minute Christmas gift buyer and I've definitely bought one or two (or more!) Molton Brown gift sets over the years. I feel you can seriously do no wrong with them because who wouldn't want to receive such a lovely present! If you want to get your hands on the perfect gift to spoil your loved ones over Christmas then here's the link my friends. I love the Molton Brown products. Beautiful gift set.